The baby Ameraucana chicks are three weeks old now. 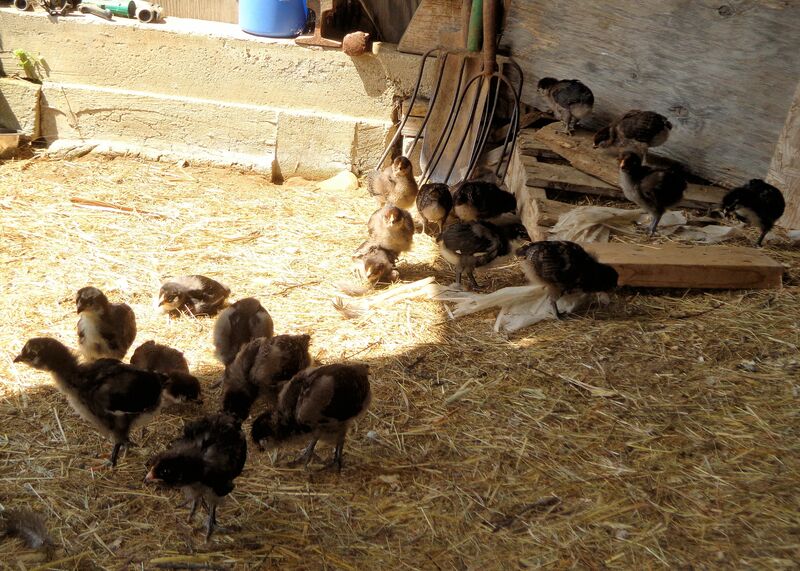 This past week they have been learning to go out on their own into the big world and free range. Seeing such small babies on their own can give a mother hen like me heart palpitations, but I can’t hold my little ones back. They need to understand how to find food, hunt for insects, avoid danger and return to the safety of the shelter at night. 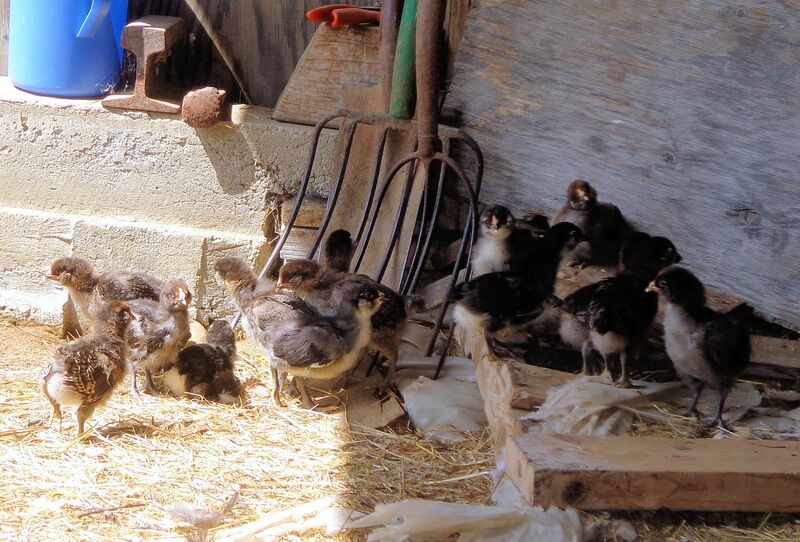 Although they are quite tiny, these chicks are old enough to be on their own. The babies love freedom. They run together in a little flock. All twenty-three of the original hatch are still with us, hale and hearty. On a sunny spring day they sprawl in the sunshine lighting the barn doorway and spread their wings to collect the warmth. As a group, they move from place to place finding adventure and keeping in constant contact with a steady stream of peeps and chirps. 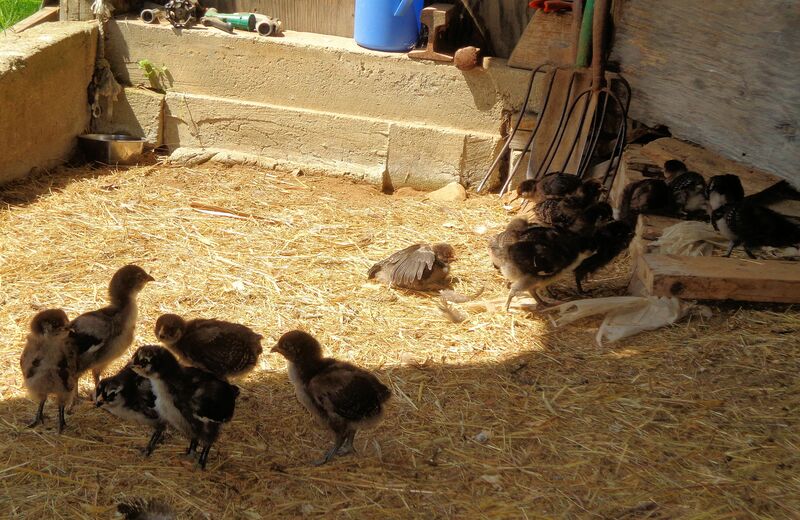 Thursday was the first time the little birds ventured from inside the barn out on the grass. Once this wonder was discovered, there was no stopping those chicks. They found the grass and greens delicious and also teeming with juicy bugs. I am teaching them to drink from a pan by sinking their plastic waterer in the center of a rubber dish full of water. The chicks have quickly caught on. It is amazing how fast baby chickens grow. The tiny roosters already test their strength in mock fights. In no time the birds will be fully feathered and starting to fly. A baby chicken is actually quite a good flyer because its body is small and light in comparison to the size of the wings. This tends to give the small birds an advantage against predators. They are very good at escaping. Although they appear delicate, millions of years of evolution have made these small creatures tough and capable of caring for themselves. The first Ameraucana chicks of 2017 finished hatching overnight. Currently there are twenty babies, an excellent hatch rate any time. The hatch is particularly impressive for eggs that were collected when the temperatures were at or below 0 degrees F and the majority of eggs set had been stored in the refrigerator for several days. When the best breeding rooster for the next generation is killed by a weasel, any possibly viable eggs that could contain his DNA should be set. Of the 42 eggs I placed in the incubator, 37 grew embryos. Of those, 22 pipped and 20 hatched. Had I owned a better incubator, I believe the hatch rate would have been higher. In the photo above, the last two chicks to hatch are in the lower area. They appear less fluffy than the rest because their down has still not shed all the albumen residue that keeps them wet and lubricated so they can escape from the egg shell. In a few hours they will be as fluffed as the others. I’m saving my pennies to purchase a Brinsea incubator to replace the styrofoam Hova-bator currently in use. Had I known that such an early hatch was necessary, I would have begun saving sooner. The usual hatching season begins in March for me. 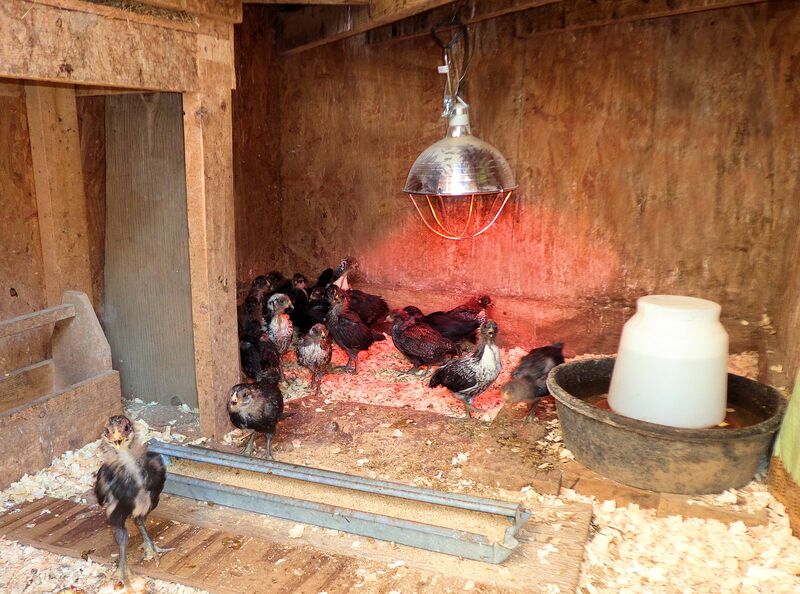 By then all the hens are laying well, the days are long enough to assure good fertility and when the babies hatch, the weather is warm enough to keep the chicks in the barn. 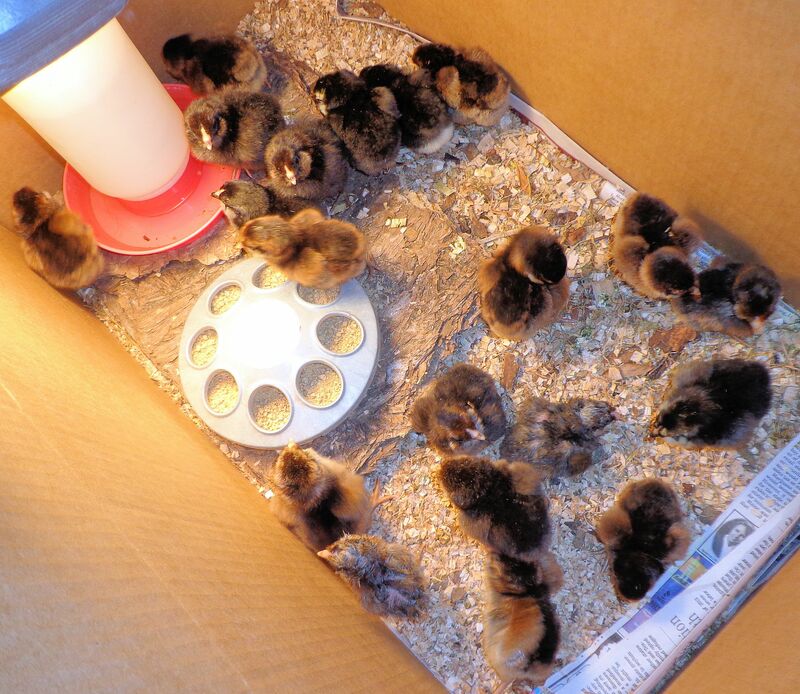 Now I am faced with twenty chicks that must live in the house until they are old enough to go outdoors. They will need to stay in with us for at least three weeks! Anyone who has raised chicks knows they can get smelly. They usually go in the barn after one week. I will need to provide a large brooding area and consistent attention to bedding to keep the odor of chicken at an acceptable level. The cats are another concern. One of our cats, Chloe, killed some newly hatched chicks the first year she lived with us. Since then she has mellowed, but we now have two one-year-old males who consider themselves mighty hunters. The baby chicks will need to be enclosed in a cat-proof system. Still, my hopes are high for a good outcome with these babies. I’m certain many of them were fathered by my best rooster since he was the dominant male in the chicken house. So far they are a beautiful hatch of silver Ameraucanas. I look forward to seeing their adult plumage and the color of the eggs they produce. 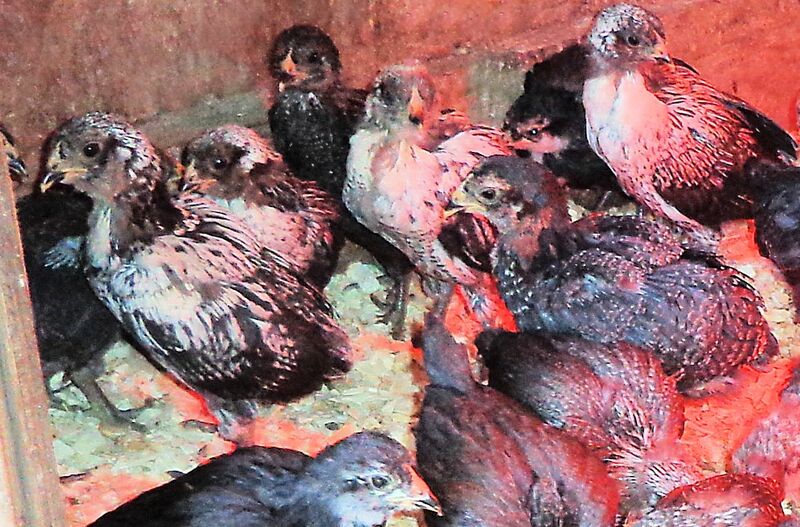 This year’s first Ameraucana chick hatch here at Phoenix Farm was on April 19-20. 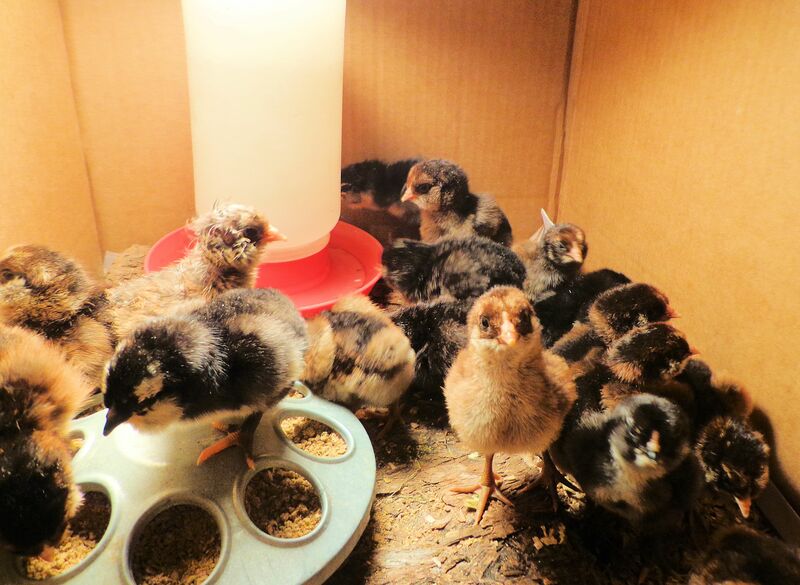 There was a problem with the incubator and only nine babies survived. A rather dismal result. 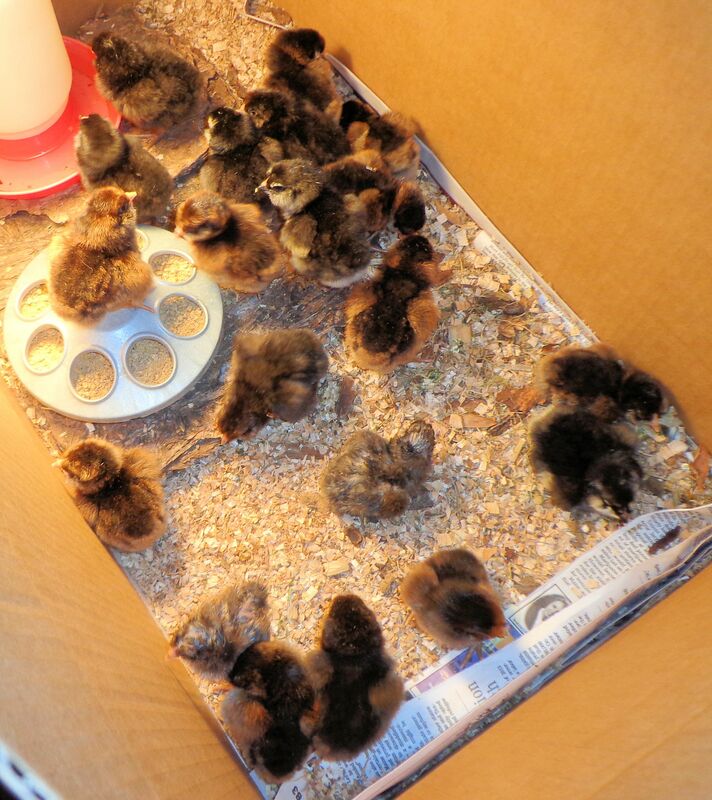 These nine little ones are strong to have made it out of the eggs. At least a dozen, probably more, were lost. Such is life (and death) on the farm. The babies are from either the pen with a silver rooster and silver or black hens or the pen with wheaten and blue wheaten roosters and hens. The ones that lived are healthy and active chicks. 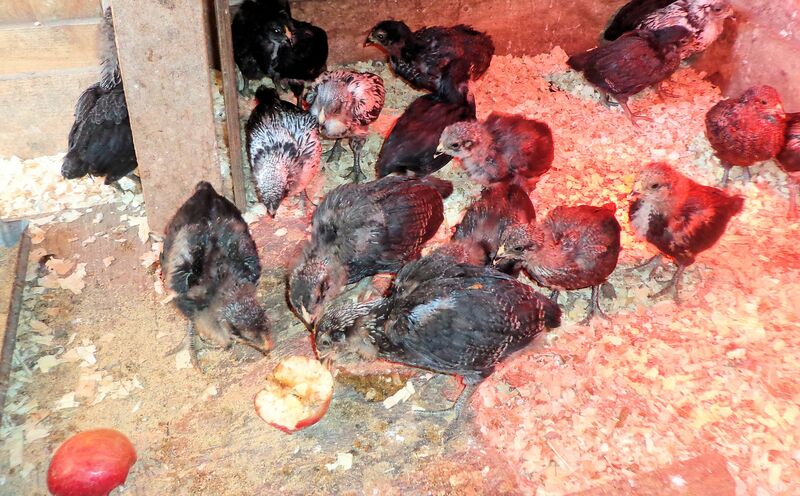 Once they make it past day three, they usually survive to old chicken age. Today I will set up forty-two more eggs to start the second clutch. We will probably have a third hatch as well since the first was so poor. I like to have forty to fifty young ones to choose among for the best quality breeding stock for next year. Just couldn’t resist sharing this picture with a baby stretching its wings. So cute! Wanted to share the eggs this year’s pullets are laying. 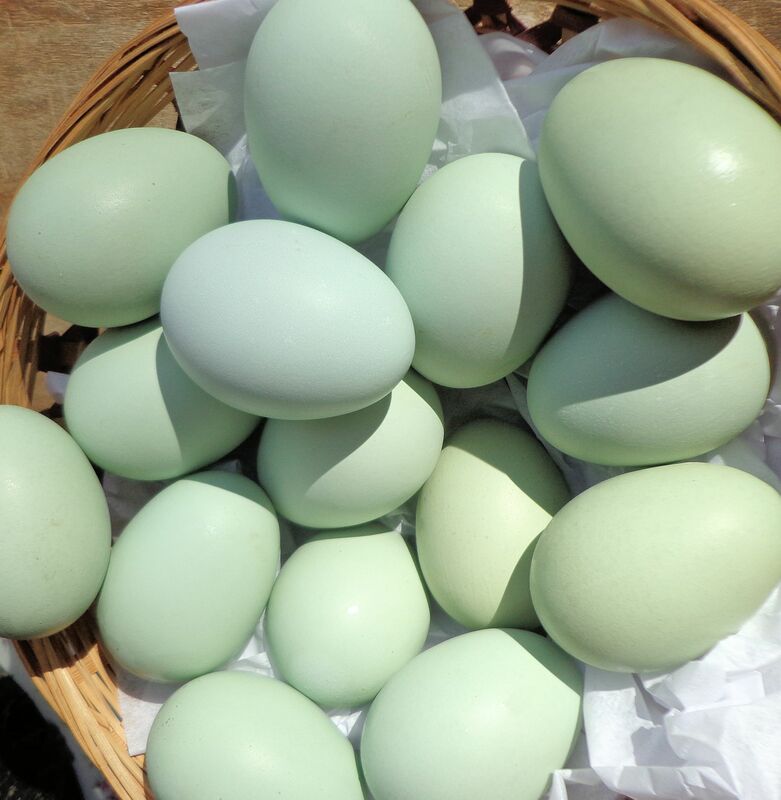 Three or four young hens have started producing eggs nearly daily and I think the colors are very nice. My goal is to produce a medium blue egg. The one in the above photo at upper left center is getting close to the color I’d like. 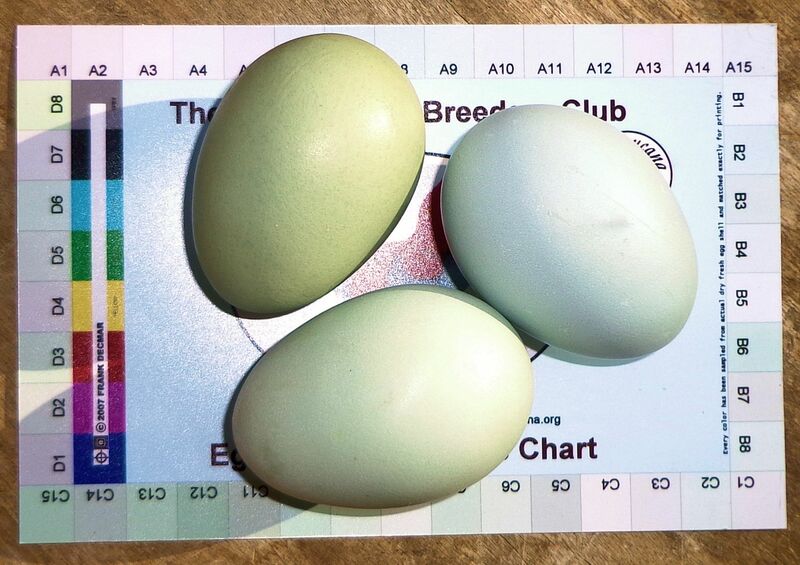 The Ameraucana chicken, like it’s cousin the Araucana, lays an egg with a blue tinted shell. There are three egg shell color genes in chickens: white, brown or blue. Shell color is one or a mix of those shades. All the eggs in the above photo have blue in them. The green color is a result of dilution by brown. The depth of color is a function of dilution by white. When a hen first begins to lay, she produces the deepest shell color. As she continues to lay the color fades. The true egg color of a hen is found in the pullet shells or the shells of eggs made immediately after a hen finishes her molt. While the bird molts, or sheds and regrows much of her feathers, she will not lay. 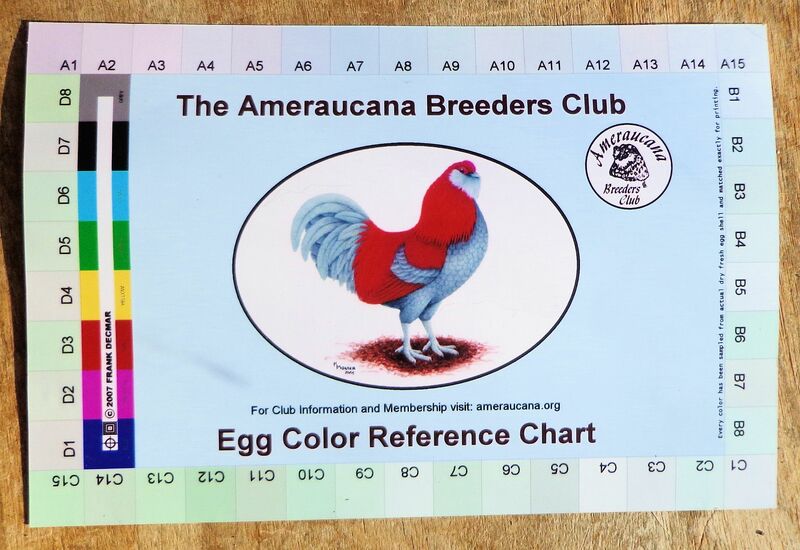 As a sometime dues paying member of the Ameraucana Breeder’s Club, I procured a copy of their Egg Color Reference Chart. Around the edge of the chart are all the known possible colors of egg shells that Ameraucanas produce. To determine the shade, the card is held up to the egg until a close match is found. To me, some of the colors are so similar that it is difficult to differentiate between them when comparing to an egg. The best I can tell, my blue egg is similar to B2. This would mean something to another Ameraucana breeder. The shade in the center of the card surrounding the rooster is the ideal blue that all breeders hope to attain. 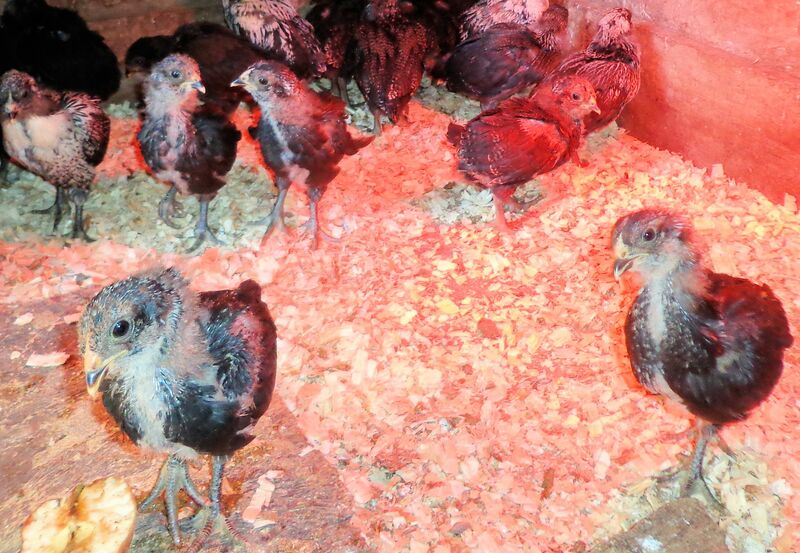 There are eleven pullets from this year’s breeding program, so I am waiting for most of them to begin laying. It will be exciting to see what the rest can do! I have been selectively breeding for the best egg color for many years and I feel my efforts are beginning to show success.